Thanks to Chris Jensen McWilliams and Bob Jensen Pearson for the work they have done on this subject. The following link will take you to the video which is well worth watching. Thanks again Chris and Bob. 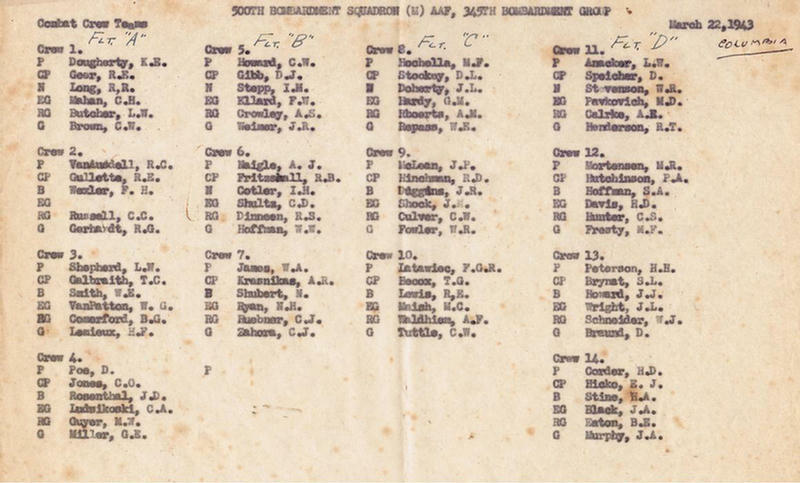 This appears to be the listing of crews when the 500th BS left Columbia heading to Walterboro! Here is an Excel file listing all the 345th burials at National and Military Cemeteries. The gentleman who compiled it said that we could use it on both the 345th and 500th websites. He only wanted a link to his email for credit. Randy Watkins is the gentleman. Email is: rwatkins@htc.net. Our thanks to Kelly McNichols for obtaining this file from Randy Watkins who spent a lot of time researching and developing it. To down load a Word Doc File containing websites which have information for VETS services and and assistance. 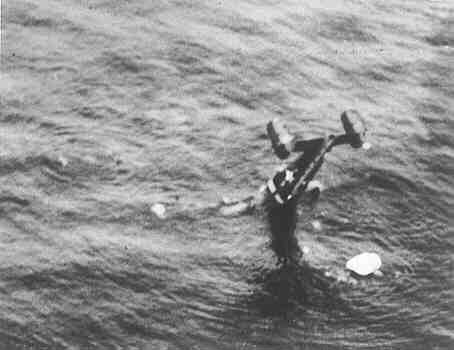 Being on fire, he chose to get out of plane. Watching his comrades dying around him. Treating them with no dignity. Loosing a lot of weight. It is not taken for granted! Here are the words to the fighting 500th song book. These songs have been put into a MicroSoft Word .Doc file by Marith Reheis. We thank her for the hard work and efforts to keep the memories alive. To down load the file just click on the link below. Thanks to the Collings Foundation, a re-born Tondelayo has been flying the U.S. skies since August of 2002. 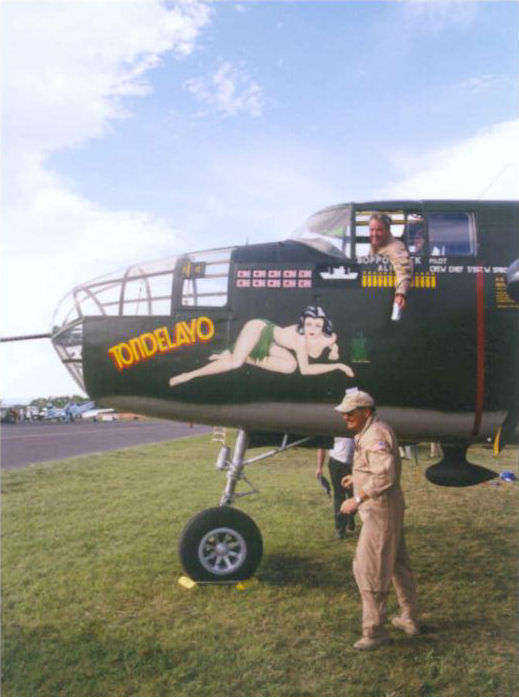 Earlier, the Foundation had their B-25 (Hoosier Honey) repainted with our 500th Squadron markings, including re-naming the aircraft with our original Tondelayo nose art. 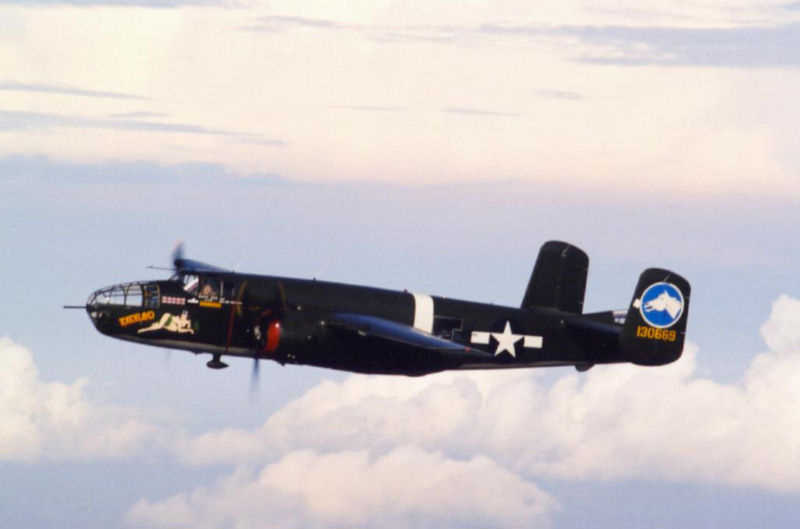 Thanks to their kindness, the story of our squadron's most famous B-25 will in a way be perpetuated as the aircraft graces the skies in years to come. 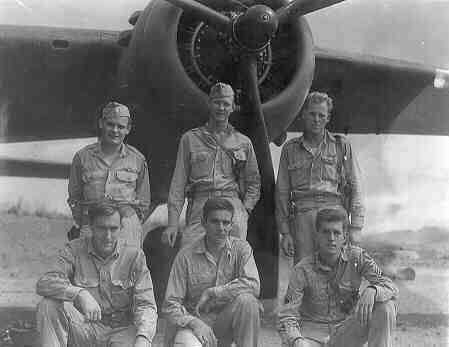 The Collings Foundation has asked for our help in the purchase of a set of bomb racks for Tondelayo which will cost $4,000. It is against our Association's policy to make such donations. Even if this policy did not exist, we just don't have funds to make such a donation. In view of the foregoing, we are making all of this known to our Association membership in the event that there are individuals who would like to make their individual donations toward the purchase of the bomb racks. If you wish, you may make your individual, tax deductible, donation (payable to the Collings Foundation) and send it directly to the following address: The Collings Foundation, P.O. Box 248, 137 Barton Road, Stow, MA 01775. Together with your donation, please identify yourself as a member of the 500th Squadron Association, Please do NOT make your check payable to the 500th Association, nor should you send your donation to our Association. Any donation made is strictly an individual one directly to the Collings Foundation. Many thanks for any individual donations made. I have a special request for anyone with any knowledge of what may have happened to the enlisted members of this crew. It's believed they were captured and interned at Wewak prison, but this has not been confirmed. 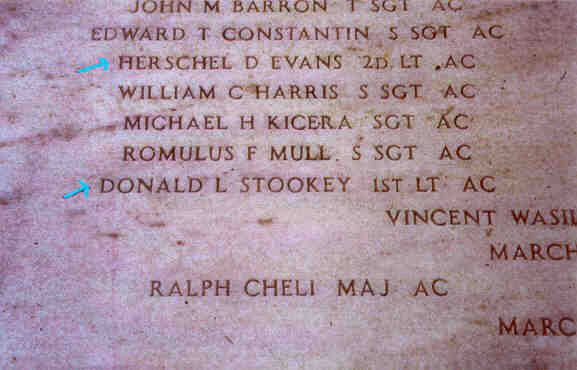 The Officers 1st Lt. Stookey, and 2nd Lt. Evans were executed near the end of the war. Their remains, along with some 15 other American and Australian airmen, were interred at Jefferson Barracks Missouri. 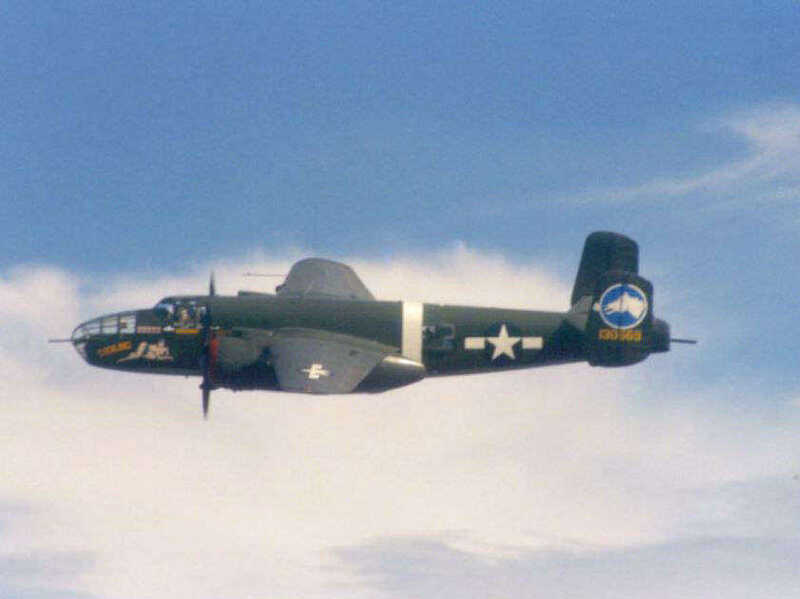 If you have any information as to the fate of the others Please E-Mail The Warbird at HHATFIELD@SUREWEST.NET Thank you!! 16 October, 1943. The crew were seen later in the raft. This shows a portion of the marker at Jefferson Barracks where the officers are interred.